Will be available in electronic form for US$4.99 at Smashwords, iBooks, B&N, Kobo, Amazon, and others. Will attach links when available. Print version available for US$12.99 at Amazon and all print channels. 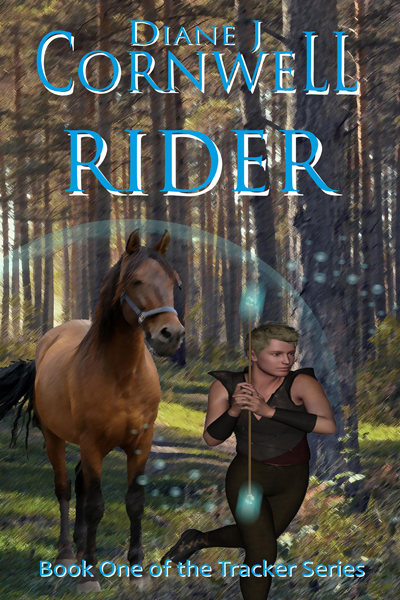 Available in electronic form for US$4.99 at Smashwords, iBooks, B&N, Kobo, Amazon, and others. Will attach more links when available. Print version available for US$13.99 at Amazon and all print channels. 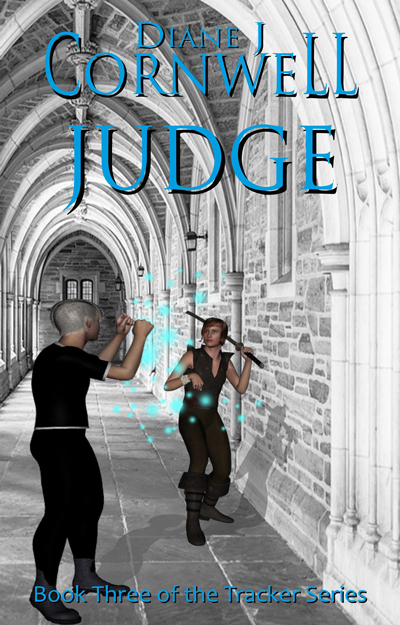 Misty Locke intends to protect Dallas from mages discovering his secret of using ichur while he attends the academy in Dead City to become a judicator. But before they even reach the academy, she has to protect the tracker mares from a runaway wagon. Then protect Dallas and the mares from thieves intent on stealing both trackers. Which leads to her arrest by the rider of a very large black and yellow dragon called Tema, because he witnessed her attacking citizens of Convane. Judge continues the adventure after Rider and Guard ended, including mages, dragons, tracker horses and magic spells. Print version available for US$14.99 at Amazon and all print channels. Dallas Wood, his guard Misty Locke, and their tracker mares sail across the strait to Hinton Island on his first journeyman judge circuit. All he has to do is judge local crimes while looking for proof of a rumoured God of Orphans and missing children. Dallas’ dragon friend, Longflight, decides to visit Hinton Island with Dallas and Misty, even though Hinton Island does not like Convane mages or dragons. 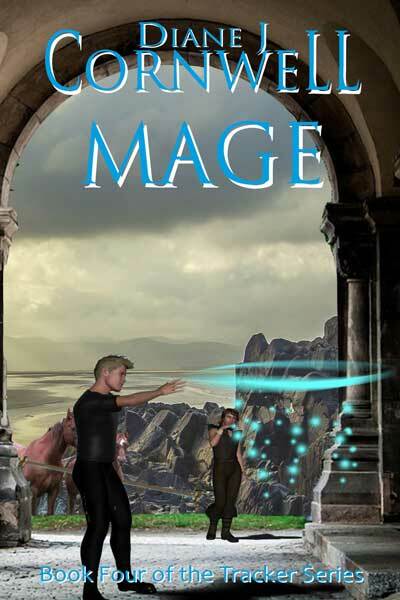 Mage continues the adventure after Judge ended, including mages, dragons, tracker horses and magic spells. 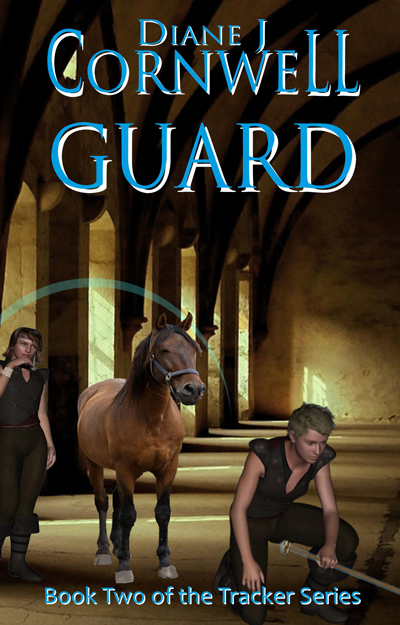 Dallas Wood, his guard Misty Locke, and their tracker mares, defend their home from attackers, then subtly help defend Convane’s borders with help from tracker horses and dragons. But, will the council understand that sometimes defensive magic is not enough to protect Convane’s borders and citizens? 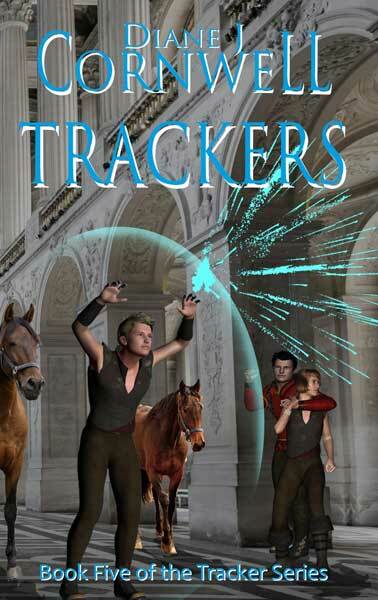 Trackers concludes the adventure of Dallas and Misty’s fight to alter the council’s control of mages across Convane and neighbouring countries, with assistance from tracker horses, dragons, and magic spells. Print version available for US$16.99 at Amazon and all print channels.